The independence of UK car auctions is at risk – that’s the message from Matt Dale, director of vehicle remarketing specialist G3. 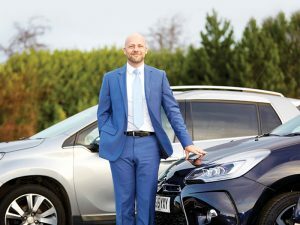 The bold statement comes in the wave of some of the UK’s most well-known auction brands acquiring peripheral motoring businesses that Dale (below) fears may monopolise the whole lifecycle of automotive retail. “It is now three years since British Car Auctions (later renamed BCA) acquired We Buy Any Car,” comments Dale. “This move that was quickly followed by Manheim’s purchase of We Want Any Car, and smaller car buying companies were also subsequently bought out. “At first glance such acquisitions appeared to make sense – the brands were leveraging their knowledge of the automotive industry and diversifying in their operations. Dale’s concern stems from the fact that in every physical auction, there are prime selling slots that a vendor will strive to secure. However, in recent times, Dale claims these coveted slots have been increasingly allocated to the auction house’s own vehicles, to maximise the return from the cars they themselves need to sell. “This is obviously to the detriment of other vendors,” he elaborates. “It’s entirely at odds with what an auction should be – an independent remarketer. “What’s more, because organisations such as We Buy Any Car buy the type of vehicles that main dealers and car supermarkets would ordinarily ‘recycle’ in the part exchange process, the playing field is further imbalanced. Believing that, in these instances, neither the vendor or purchaser truly comes first, Dale’s biggest fear lies in where the acquisition trail will end.